CAPE CORAL, Fla. -- Firefighters are mourning the loss of a young firefighter after the news of his passing over the weekend. 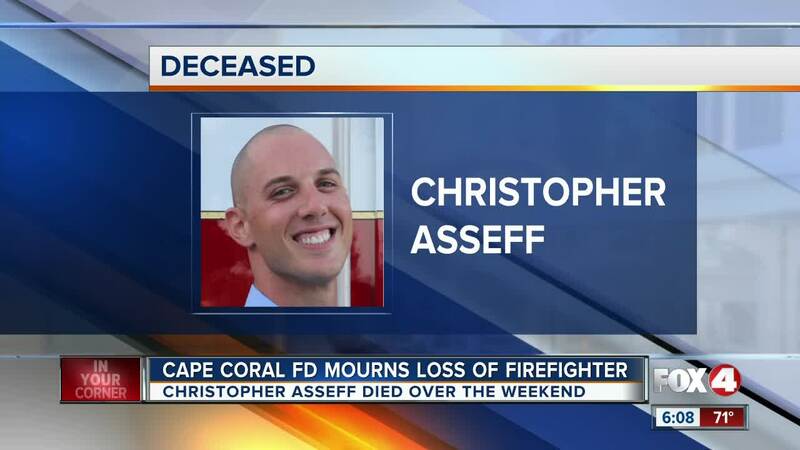 Firefighter Christopher Asseff passed away while off duty on Saturday, February 2nd. According to the fire department, Asseff was hired in July 2018 and was known as a hard worker who had earned the respect of his crew. "Our thoughts and deepest sympathies are with his family, friends, and fellow brothers and sisters," says the Cape Coral Fire Department in a statement. No details about the nature of his death are available at this time.